Beneath Budapest, one of Europe's most classically beautiful cities, lies one of the few visible reminders of Hungary's communist past. With its modernist forms, abstract artwork, and splashes of fading colors, Budapest's third Metro line (M3) is a vital urban artery for thousands of daily commuters traveling to and from the suburban housing estates the line was built to serve. Construction of the M3 began in 1970 and the first six stations opened on 31 December, 1976. Five more stations were added to the south in 1980 and nine more to the north between 1981-1990, reaching its current length of 20 stations and 16.5 km (10 mi). Soviet-made carriages, prevalent in many Eastern Bloc Metro systems, were placed into service when the line opened and are still in operation today. Plans are in the works to renovate the entire length of the M3, and construction of the northernmost 6 stations began in November 2017. Reconstruction of the carriages by the original manufacturer began in the spring of 2017. A trip on the M3—both brutal and dreamy, and as yet completely obliterated by modermization—is a raw and authentic journey through history and a glimpse into everyday life in Budapest. Going underground to explore Budapest's dreamy/dreary communist-era Metro 3 line, come along for the ride! A row of bright orange old-school PROTOKON JK-02s still stand guard at every Budapest Metro 3 entrance to validate single ride tickets with a time and date stamp. Escalatoring into Kálvin Tér station, one of the first six stations that launched Budapest's Metro 3 line on December 31, 1976. Kálvin Tér Metro station in all its fluorescent disco glory. Original commie-chic Metrovagonmash 81-717/714 carriages, designed in the mid-70s for rapid transit systems of the Soviet Union, are still in service on Budapest's Metro 3 line. Awaiting the next train at Ferenciek tere station. Where to get your shoes repaired / knives sharpened / keys cut in Budapest's Nagyvárad tér Metro Station. The vintage Cold War spy thriller espionage vibe of commie-cool Klinikák station. Budapest's Gyöngyösi utca Metro 3 station is one of the line's 4 northernmost stations opened in 1990, completing the M3's final length of 20 stations and 16.5 km (10 mi) – the longest line in Budapest. Budapest's Metro 3 route as wall graphic on the platform at Újpest–Városkapu station. 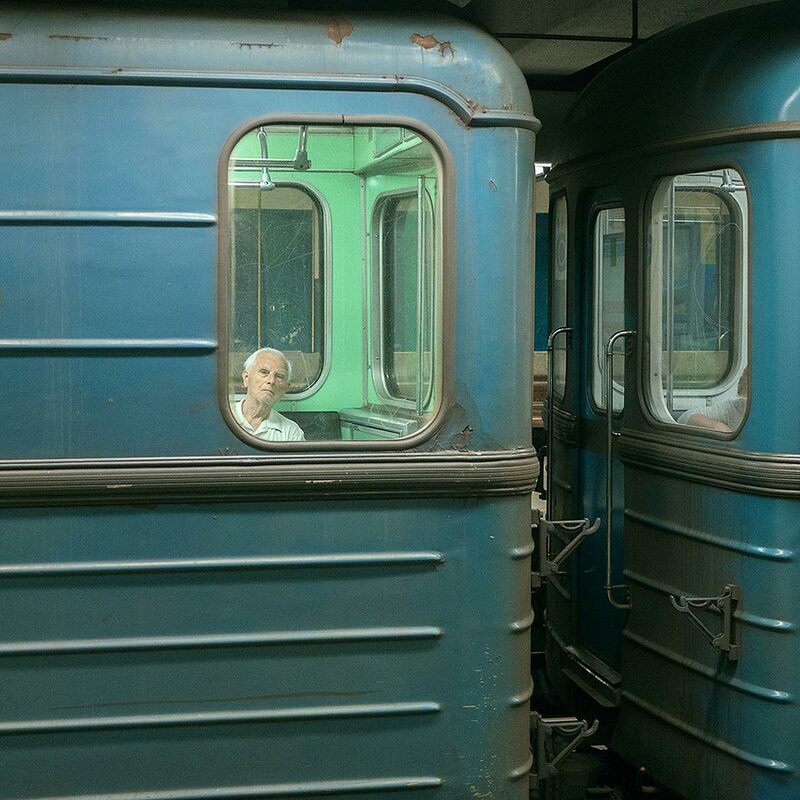 The Soviet-built carriages on Budapest's Metro 3 line have been pleasing passengers since 1976. 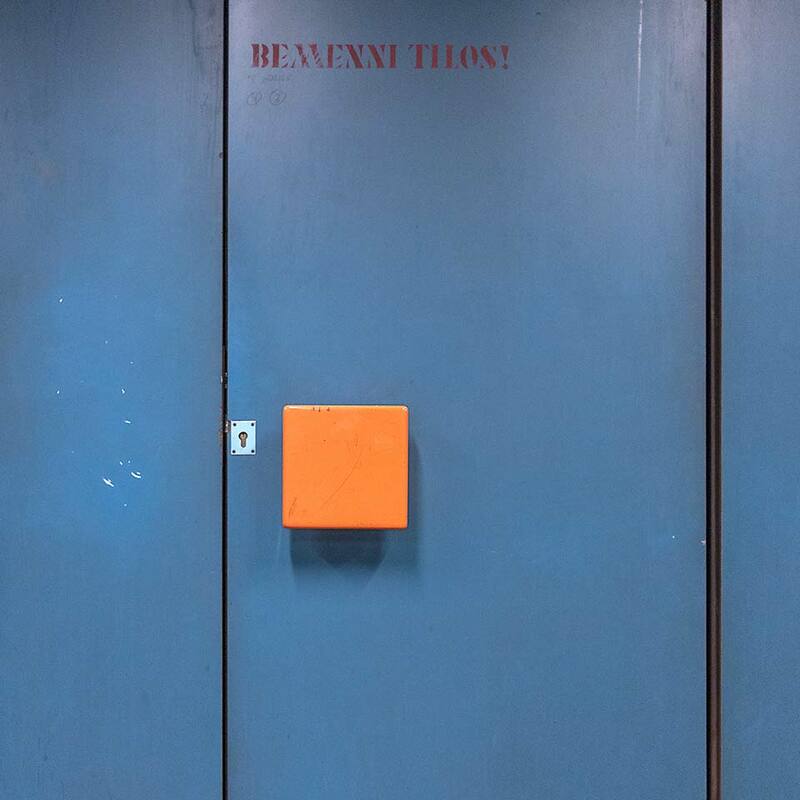 A truly exceptional door in the very brown Lehel tér M3 station. Some late 80s graphic art for the masses at the entrance to the M3 platform at Forgách utca station. One panel is missing and at bottom right is a panel apparently requisitioned from another artwork down the platform which is now mostly missing. Budapest's Nyugati pályaudvar Metro 3 station opened in 1981 and until the communists were ousted in 1990 was named Marx tér (Marx Square). Nothing says class struggle quite like shiny colors. Color coding on the Budapest Metro: green walls/brown seats = Népliget station on the M3 line. 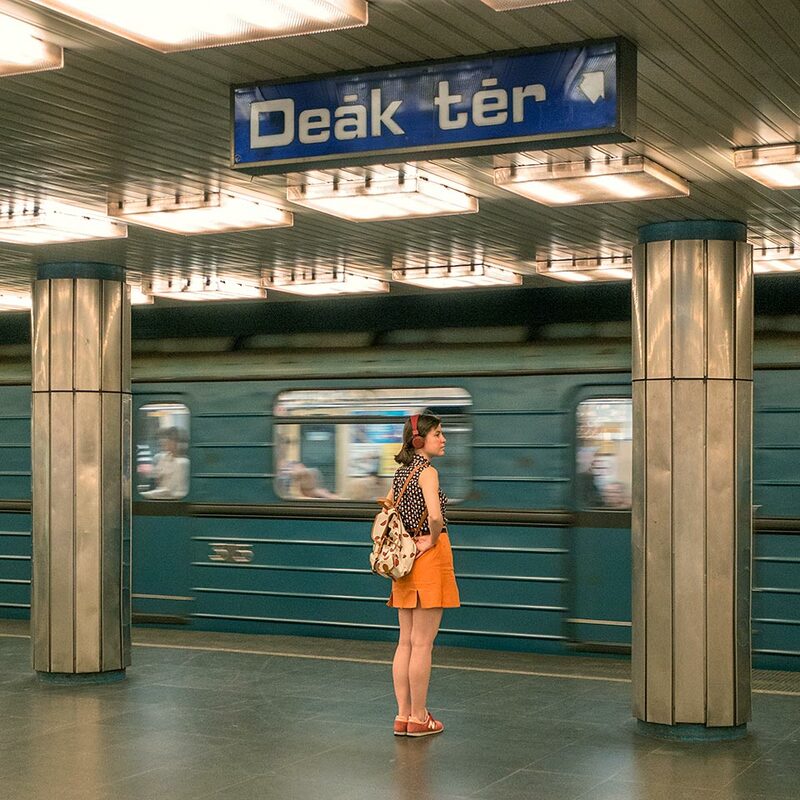 Budapest Metro's very orange Ferenciek tere station, opened in 1976, was named Felszabadulás tér (Liberation Square) until 1990. Entering (and exiting) Pöttyös utca station on Budapest's Metro 3 line. Vintage 70s color study in olive green and marigold at Arany János utca station on Budapest's M3 line. Árpád híd station on Budapest's Metro 3 line, opened in 1984, sports some lovely decade-appropriate wall art at entrances/exits to the platforms. 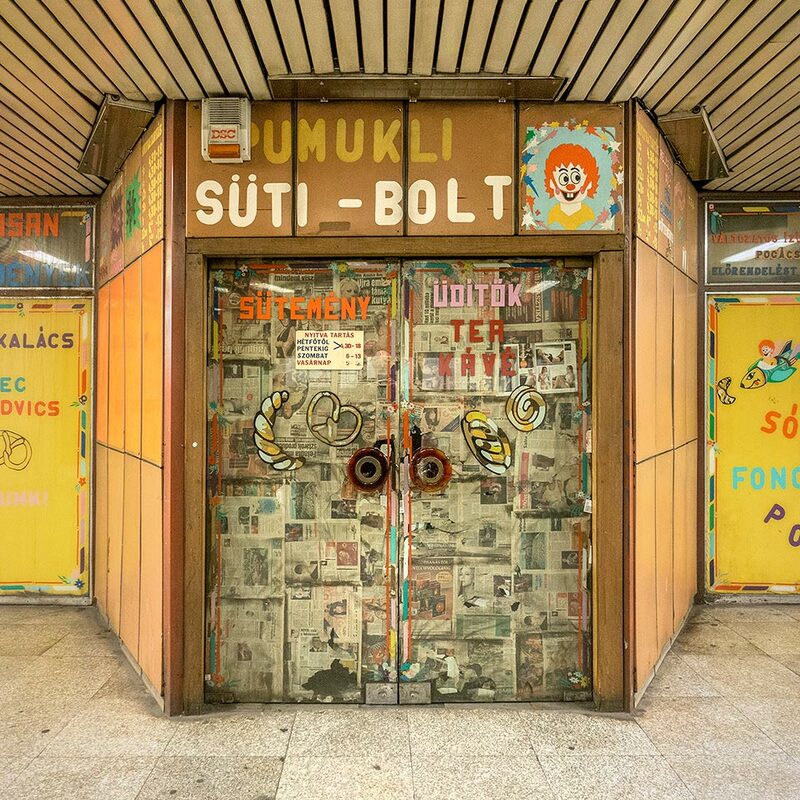 The shuttered Pumukli cake shop in Budapest Metro's 1981 Lehel tér station. Pumukl is the name of a German cartoon character (a clownish sprite only visible to master carpenter Eder) invented in 1961 and popular in Hungary. Lovely vinyl graphics and lettering adorning the Pumukli cake shop kiosk in Budapest's Lehel tér Metro 3 station. Awaiting the next train on the platform at Kálvin tér station, one of six stations that opened the Budapest Metro 3 line on December 31, 1976. Dózsa György út station, on Budapest's Metro 3 line, began serving non-smoking passengers on November 5, 1984. 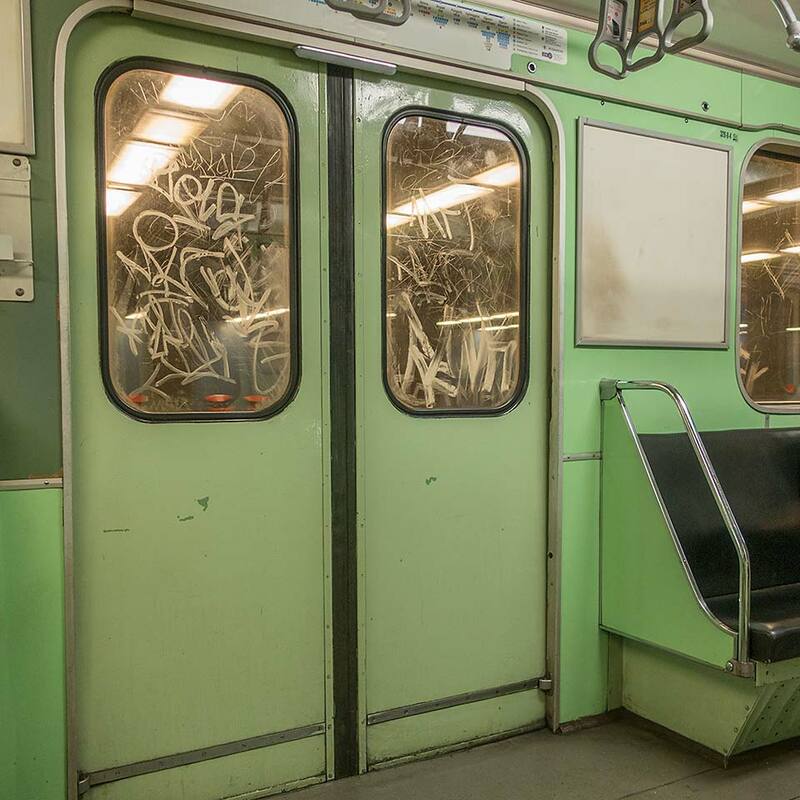 I've loved the minty green freshness of Budapest's Metro 3 line carriages ever since my first ride in 1996. This colorful corner in Gyöngyösi utca station on Budapest's M3 line sports some bitchin' 80s supergraphic artwork partially obscured by the more recent kiosk addition. The eternal twilight of Határ út station. Entering Gyöngyösi utca, one of the 4 northernmost stations on Budapest's Metro 3 line, opened on 14 December 1990. Budapest's Nyugati pályaudvar is one of the busiest stations on the Metro 3 line, providing connections to numerous tram lines and serving the adjacent namesake Nyugati Railway Station. 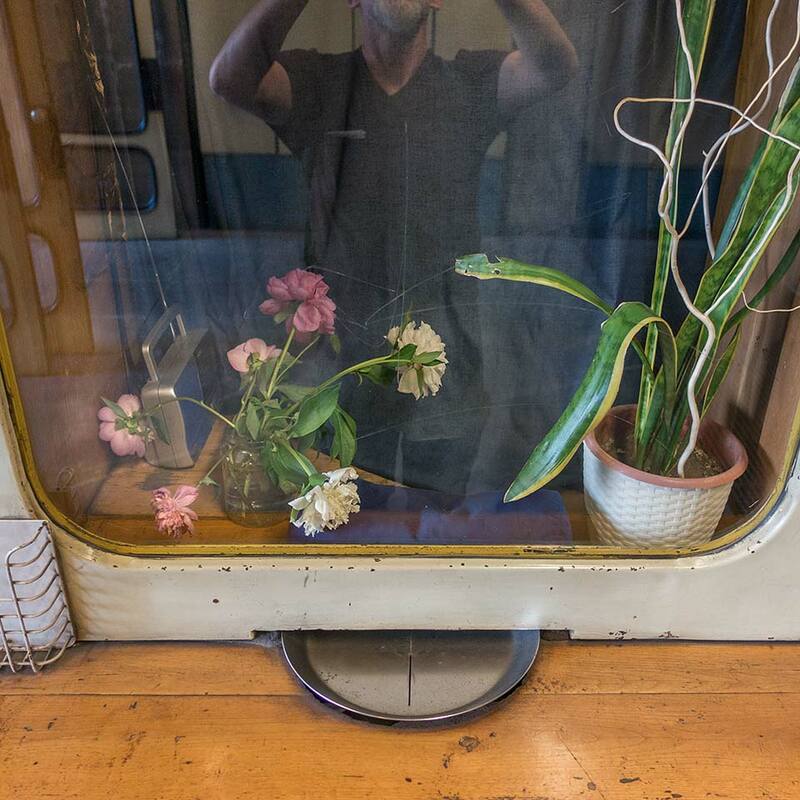 I love that Budapest's M3 line feels more like a retro/indie/sci-fi film set than an integral part of the public transit system of one of Europe's largest cities. Shiny numbers adorn each carriage on the M3 line. A loveseat, Soviet-style, on the platform at Klinikák station. BEMENNI TILOS! / Going is not allowed! Modular artwork to brighten your commute at Újpest–Központ station, the northern terminus of Budapest's Metro 3 line which opened in late 1990. Határ út station in all its dystopian glory. And a little old lady. Although most carriage interiors on Budapest's M3 line are a lovely shade of communist-institutional green, you'll find the odd white one and even an elusive blonde faux woodgrain or two. 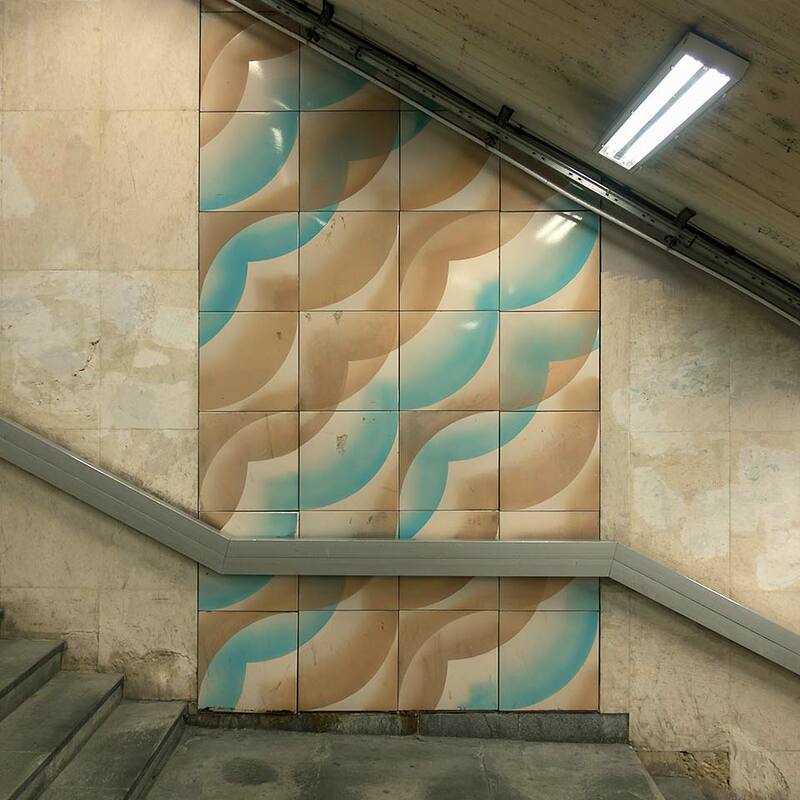 Gyöngyösi utca station, opened in 1990 on Budapest's Metro 3 line, features artwork eerily reminiscent of my 1980s design school color and form studies. Because I just can't get enough of these big square orange door handles. Escalator to/from the Metro 3 platform at Deák Ferenc tér, the northern terminus for the first segment of the M3 line completed in 1976. Alas, my Budapest Metro 3 underground adventure has reached the end of the line and I need some fresh air. Thanks for riding along and happy travels everyone!